Vishnuji Manohar - The Extra ordinary Chef behind the extra ordinary idea of a theme restaurant, Vishnuji ki Rasoi - Live Kitchen Theme Restaurant. Be it Maharashtrian Tadka or Punjab da Zaika, The spicy chatni or the healthy Salad, the tasty Dal Fry or the freshly baked Roti, at Vishnuji ki Rasoi every dish is prepared by loving hands and served with the same enthusiasm. A perfect escape into green nature’s relaxing surrounding along with melodious music. 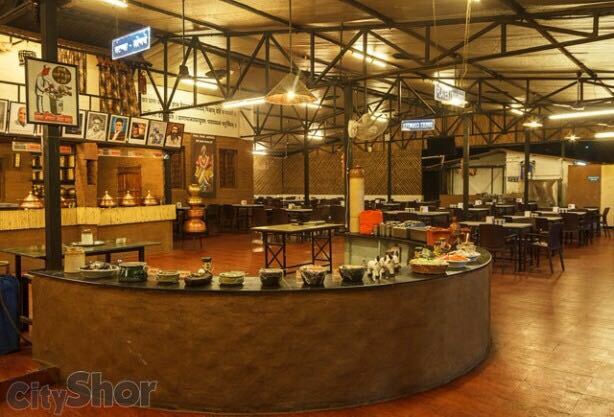 The Maharashtrian ethnic village experience spread over 25000 sq. ft. of land in Thane covered by Traditional and Hygienic Live Kitchen, A Spacious Bungalow and the beautiful lawn. With Indoor and outdoor seating arrangements. The tradition of celebrating every festival and event will make this Restaurant an unforgettable experience for you & your Family.